Is your new year’s resolution to become the best YOU? Then we have the perfect opportunity! Have you ever thought about wanting to be a mentor, but are unsure if it’s the right fit for you? Well, come learn what Talbot Mentors is all about without making a commitment. Hear how we spark the interests, talents, and passions of our young people through encouragement, support, and friendship. Become the best YOU while being a MENTOR! Join us at our info session. 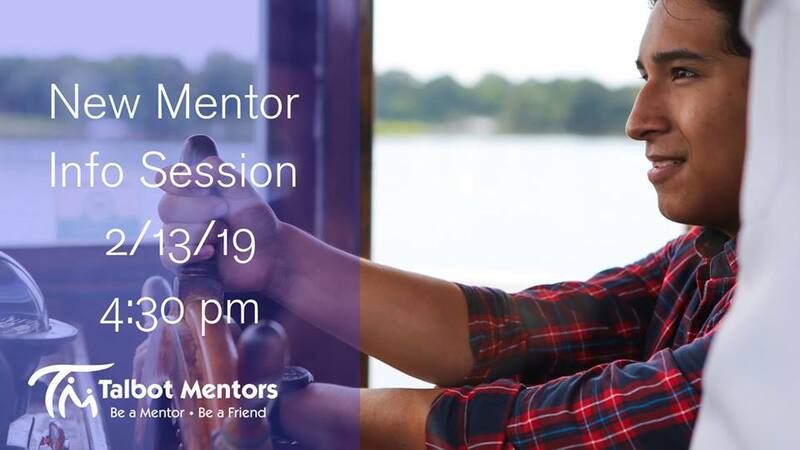 Come, learn what one-to-one youth mentoring is all about!